It’s a little ways out to trust the weather man and the day before is rainy so the day of has a chance. 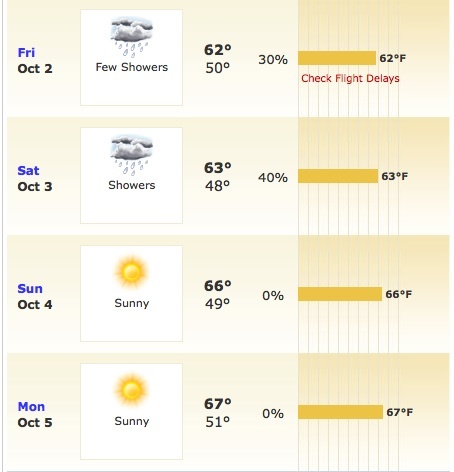 If the weather is as weather.com predicts it’ll be nice to race. This entry was posted on Saturday, September 26th, 2009 at 8:21 pm and is filed under Uncategorized. You can follow any responses to this entry through the RSS 2.0 feed. You can leave a response, or trackback from your own site.